NSU Museum of Art Fort Lauderdale is a dynamic cultural hub located between Miami and Palm Beach on vibrant Las Olas Boulevard in the heart of downtown Fort Lauderdale’s arts district. The museum’s distinctive modernist building, which opened in 1986, was designed by the renowned architect Edward Larrabee Barnes. In 2008, the museum became part of Nova Southeastern University, one of the largest private research universities in the United States. In September 2013, Bonnie Clearwater joined the museum as its Director and Chief Curator. Under her leadership, the museum has embarked on an exciting new phase of growth and transformation. NSU Museum of Art’s permanent collections contain more than 6,000 works, including celebrated holdings by the post-war, avant-garde European Cobra artists, the nation’s largest collection of works by American painter William Glackens, and a significant collection of works by leading Latin American artists. The museum also maintains a special focus on photography year-round through its Foto Fort Lauderdale initiative. An active education program is offered through the museum’s acclaimed AutoNation Academy of Art + Design, which provides high-caliber, curriculum-based studio classes for adults, children and teens taught by professional artists. The museum’s 83,000 square-foot building contains 25,000 square feet of exhibition space, the 250-seat Horvitz Auditorium, a bookstore and café. Its 11,000 square-foot AutoNation Academy of Art + Design is located adjacent to the museum and includes state-of-the-art studios and classrooms. See sharks and the largest living Atlantic coral reef in captivity, hang out with bats, be charmed by a 12-foot snake, plus pet alligators, turtles and iguanas. Test your pilot skills in nine cockpit simulators and learn about Florida's amazing Everglades in the Living in the Everglades exhibit. Discover our place in aerospace at Runways to Rockets, our space exhibit, and take a simulated trip to the Moon or Mars. Make it a play date at the Discovery Center, designed especially for children under seven. No visit is ever complete without experiencing an IMAX film adventure on the five-story-high screen at AutoNation IMAX 3D Theater, home of the BIGGEST screen in South Florida. With an 80 ft. x 60 ft. screen and 15,000 watts of digital surround sound broadcast from 42 speakers, The IMAX Experience is truly an unparalleled fusion of sight and sound. Don't forget to check out the Explore Store where you'll find lots of educational and intriguing games, toys and books and other unique gifts. At every turn, the Museum of Discovery and Science invites you to discover the scientific wonders of this world and beyond! FAT Village is located in the heart of downtown Fort Lauderdale, and acts as the hub for local creative businesses and artists. Designers, urban planners, filmmakers, photographers, printers, social media gurus, performers, graffiti artists and web developers reside in and around The Village. They are also surrounded by a network of great restaurants, cafes, retail shops, apartments, galleries and other studios. 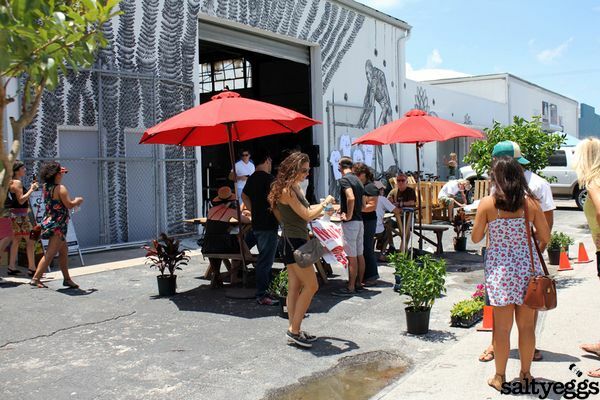 Only minutes away from the Fort Lauderdale Museum of Art and Las Olas Boulevard, FAT Village has become an asset to Fort Lauderdale's growing culture.